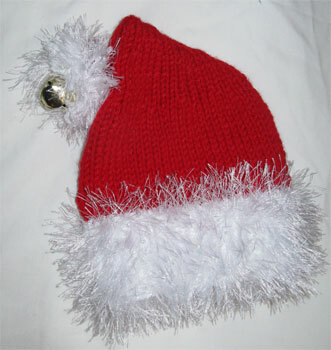 I found the pattern here, and modified it to make it longer and put a bell on the pom pom. I thought the hat was adorable. Till I saw Santa Rusty. 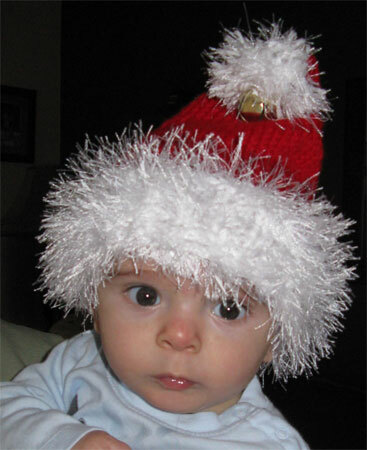 There’s no comparison between a hat and a hat on an adorable baby. Not that I’m at all prejudiced about my grandson, mind you. Shhhhhh! Don’t tell him he’s getting more hats for Christmas! I won’t show you till he gets them so he can’t peek at his presents in advance.